EUCAPIL® is a newly developed cosmetic product for topical use. 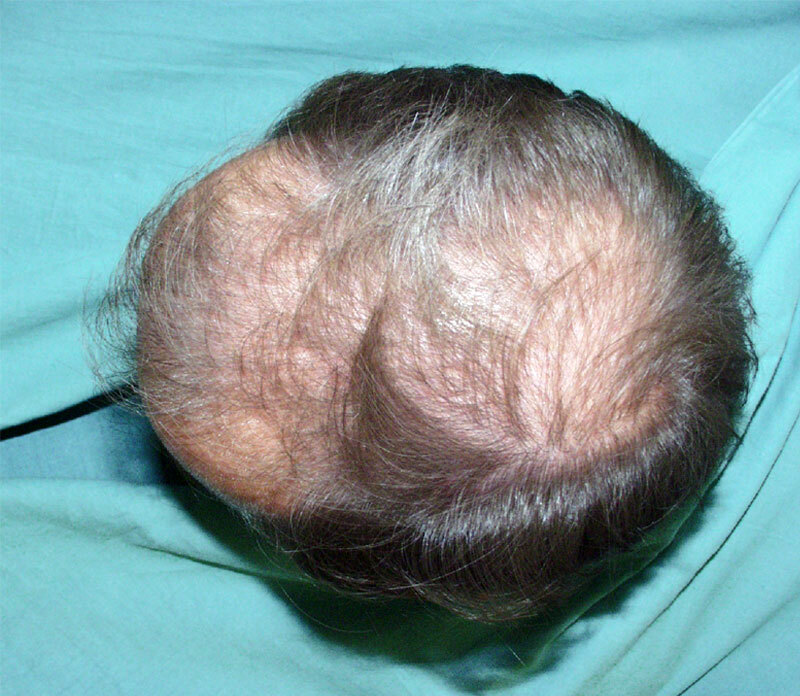 It has been shown to be an effective hair loss treatment. Its active ingredient, fluridil, was developed by Biophysica, Inc. of San Diego, California. This novel substance affects only the local area of application, and is not resorbed topically. The structure of fluridil precludes its resorption, and further, should it accidentally be ingested, even the smallest amount of water would cause its decomposition. This innovative drug design represents an effective safety feature. It affects only the cutaneous area to which it has been applied. EUCAPIL® has been tested by a university dermatology clinic, which concluded that daily use of EUCAPIL® was efficacious in the majority of users, and safe in all. As a measure of efficacy, a change in the number of growing versus dying hairs was determined by phototrichograms. In most subjects, increase in anagens (growing hair) and decrease in telogens (dying hair) was substantial. (Sovak M, Seligson AL, Kucerova R, Bienova M, Hajduch M, Bucek M. 2002. 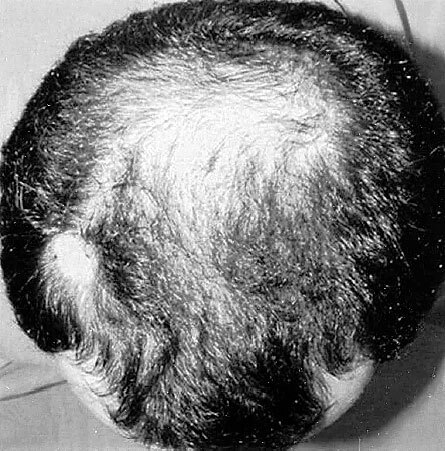 Fluridil, a rationally designed topical agent for androgenetic alopecia: first clinical experience. Dermatol Surg 28:678-685, with an erratum on p.971. [Publicationen]). When hair has been missing from the scalp for a long time and the hair follicles are obliterated by the ingrowth of connective tissue, there is very little chance for growing new hair. 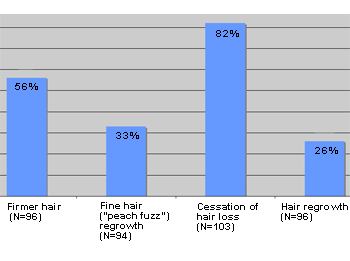 In some subjects who had been hairless for many years we found that after 3 to 4 months use, new hair growth (“peach fuzz,” i.e., the appearance of baby hair) was induced in the scalp. With time, imposed by the hair growth cycle (it may be several years), the hair may strengthen, but it is uncertain whether later the baby hair would gradually transform into hair of normal appearance. The best results so far were reported by subjects who started using Eucapil® at the time they first encountered hair loss. 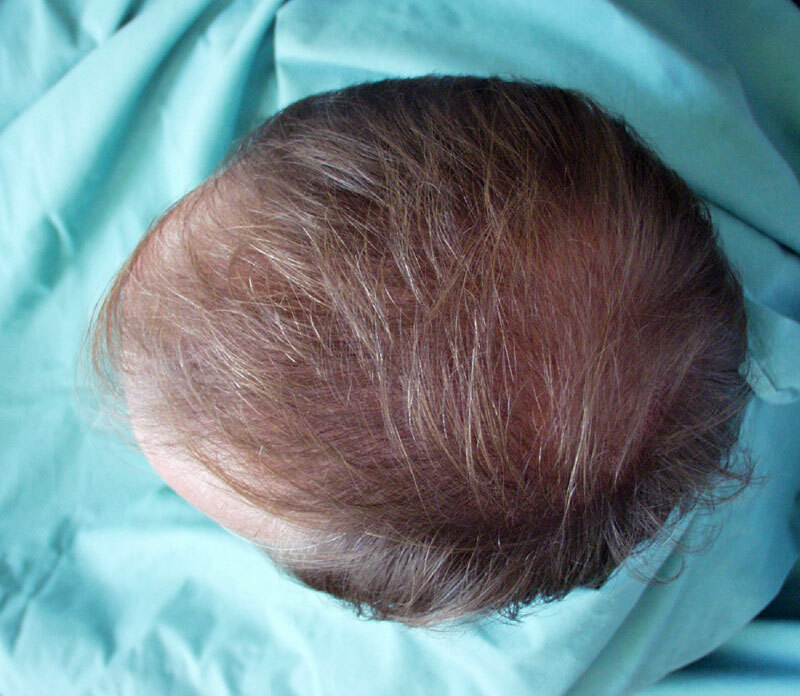 In men, this can start any time after 20 years of age; in women, dramatic hair loss sometimes appears concurrently with menopause. 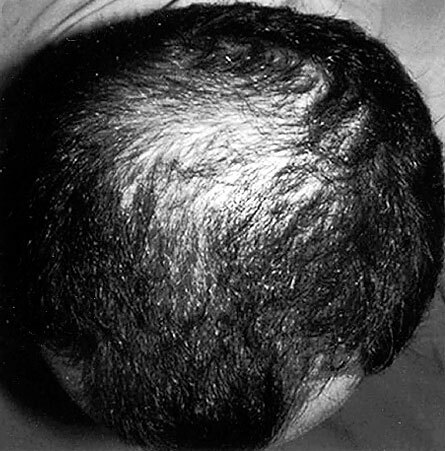 We observed that hair loss ceases after 3 to 6 weeks of once-a-day Eucapil® application, while strengthening of existing hair (increase of hair diameter) usually can be seen after 3 months. Preliminary feedback from post-marketing following its authorization as a cosmetic product, as well as the ongoing studies, show that ® induces a substantial reduction or cessation of hair loss, seen after only a few weeks of use. Upon longer use, an increase in average hair diameter, giving the impression of greater scalp hair fullness, may be seen. The best results seem to be achieved in those subjects who have not been suffering from hair loss for a long time and who have viable hair follicles. The synthesis and formulation of Eucapil® was restricted to Interpharma Praha, a pharmaceutical producer. Eucapil® as a 2% solution of fluridil in rubbing alcohol is filled into 2 ml ampules under GMP rules. 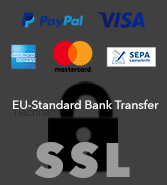 Fluridil has been registered in the EU. In 2008 Interpharma Praha, a.s. became a wholly owned subsidiary of the Otsuka Pharmaceutical Company. Eucapil®, Post-Marketing Survey based on a questionnaire sent out to 103 randomly selected users of Eucapil®. Eucapil® has been sold through the pharmacies and by Internet in the EU and in a number of other countries since 2002. No particular marketing campaign has been run, and all sales are practically made by the recommendation, the word of mouth. In June 2006, Interpharma Praha, the manufacturer of Eucapil® has established a post-marketing survey in collaboration with some of its marketing associates. Selected essential responses were tabulated and presented below as graphs. Detailed individual data are available at Biophysica, Inc.